Fish Anytime Between July 12th and July 20th! There is nothing worse than being excited to fish a tournament only to have the weather not cooperate. 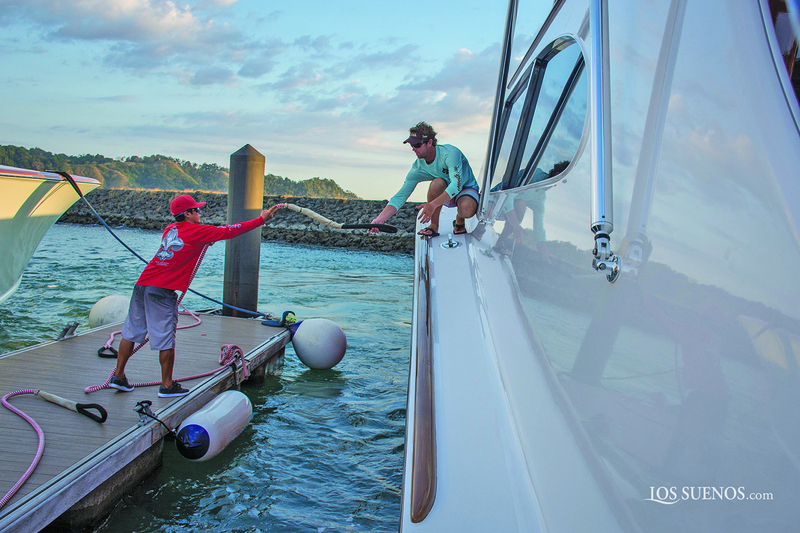 The hours spent organizing gear, preparing bait, and pre-fishing your plan, can end up a fruitless effort thanks to Mother Nature. This is one of the reasons that the Montauk Canyon Challenge has become such a popular tournament in the Northeast. When you fish the MCC, you literally get to choose to fish anytime between July 12th and July 20th! Last year’s tournament also netted a record number of fish thanks to a hot bite. 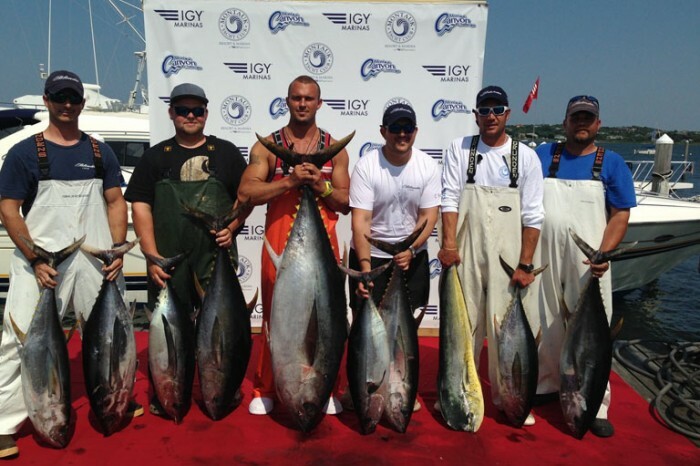 More than 150 BigEyes, 150 Yellowfin, and several white and blue Marlin were caught during the event. 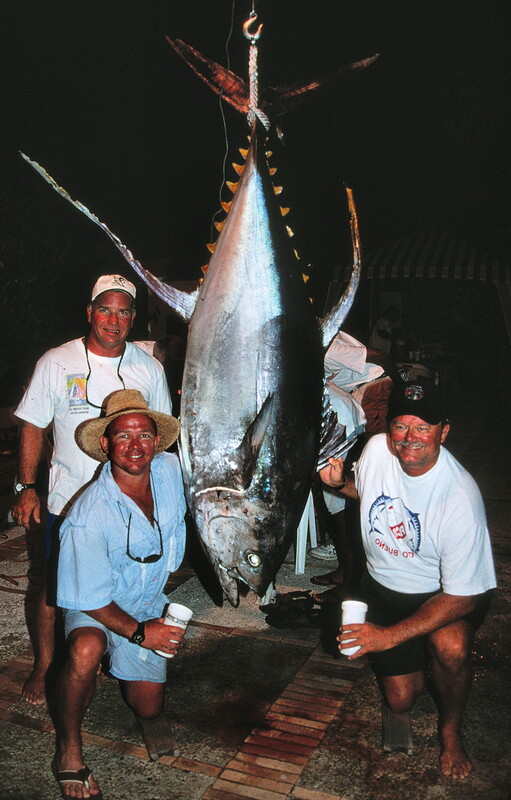 The heaviest tuna caught was 210.1lbs.! Anglers are allowed to choose to fish either two 19-hour day trips or can do one 38-hour overnight trip. All boats will return to Gurney’s Yacht Club in Montauk for an official weighing. 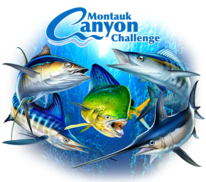 The cost of entering a boat into the Montauk Canyon Challenge is $1,600, but anyone who registers online before May 15, 2019 will receive a $300 discount. Visit the Montauk Canyon Challenge website to view the Calcutta’s and the full list of rules and regulations with the tournament. Proceeds from the MCC also go to help Maggie’s Mission, a non-profit charitable organization that is focused on raising awareness of pediatric cancers, funding ground-breaking research, and helps families affected by these awful diseases. Maggie’s Mission was created in honor of Maggie Schmidt who was a beautiful and vibrant young lady who was suddenly diagnosed at the age of 16 with a very rare and aggressive cancer. The MCC is proud to help contribute to such an effective and compassionate organization. 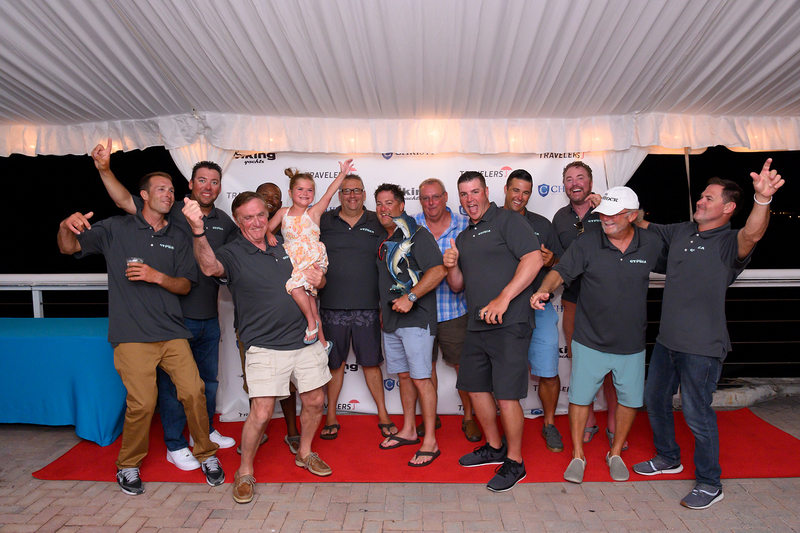 On July 20th, the last day of the tournament, an Awards dinner and after-party will be hosted for everyone at Gurney’s Yacht Club from 6:30pm – 10:30pm. 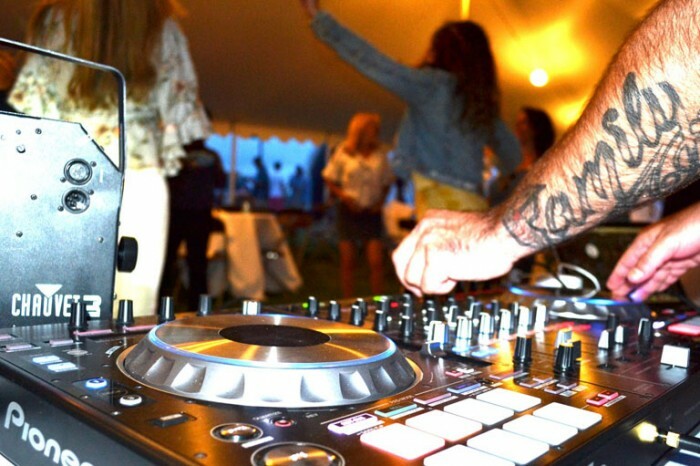 Last year’s party had everyone dancing until the late hours and we only expect it to continue this year! 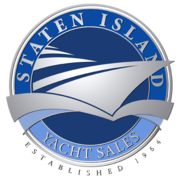 MCC main sponsor Staten Island Yacht Sales will have several boats on display at the tournament including some of the newest Viking Yachts available. 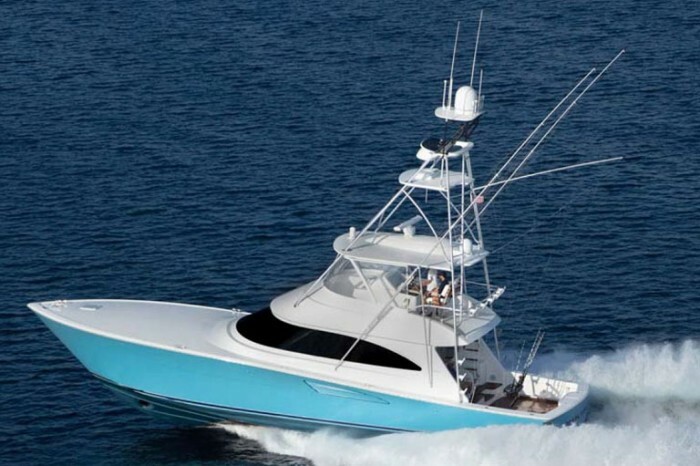 “Both the Viking 58 Convertible and the 38 Billfish will be available to tour for everyone in the Montauk Canyon Challenge,” said Jay Hendrix, Vice President of SI Yachts. “Both Vikings arrive in early Summer so they will be ready for the season up here in New York assuming they last that long.” The Viking 58C made its debut at the Ft. Lauderdale Boat Show last November and boasts a 165-square foot fighting cockpit. 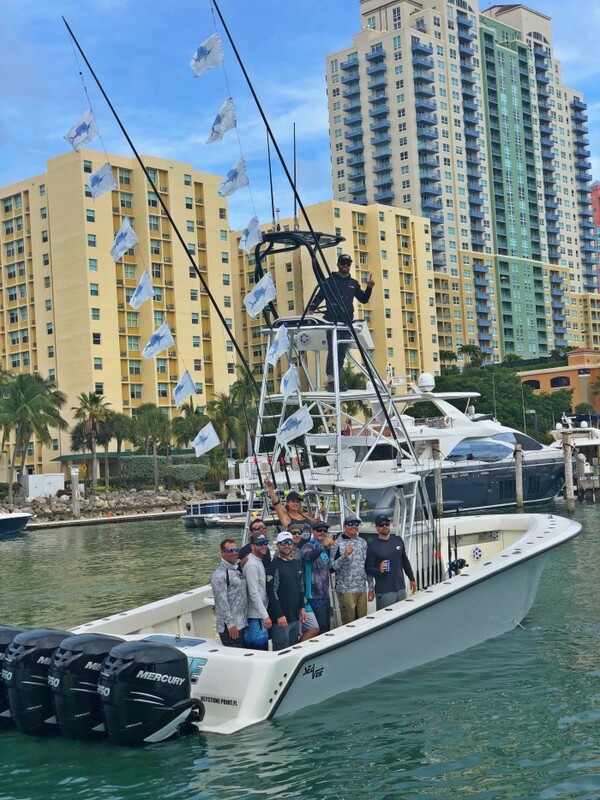 The new 38 Billfish just made its premier at the recent Viking VIP event in February and has improved the already popular design of the 37 Billfish. 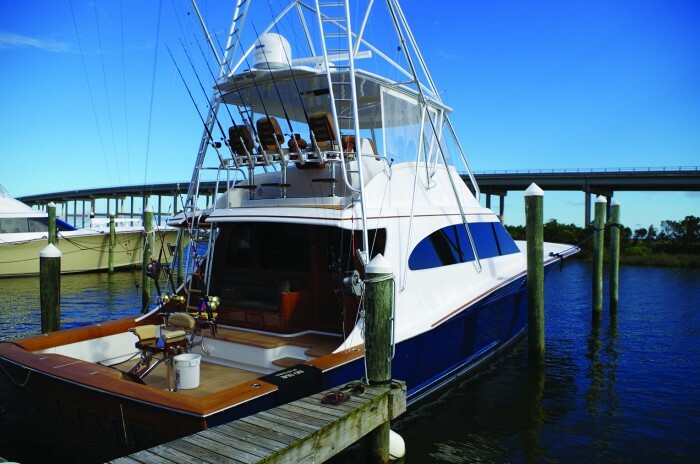 The Viking 58C will be at the MCC tournament with a grey hull and loaded with options. Ask anyone who has ever spent much time fishing in Venezuela and the conversation always goes the same way. It starts with an exclamation. “I love Venezuela. 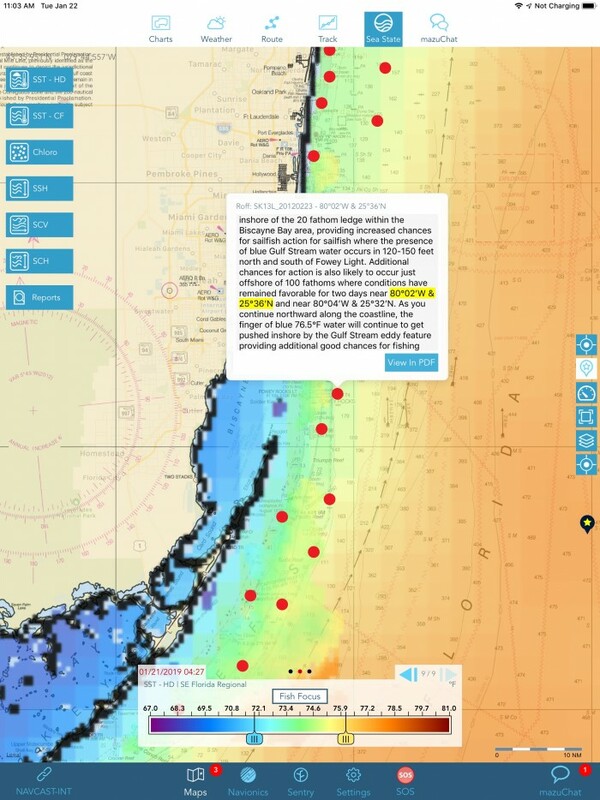 The fishing is…” They then spend the next few minutes spinning outlandish-sounding tales that would seem farfetched were they not similarly repeated by other captains who fished in Venezuela. 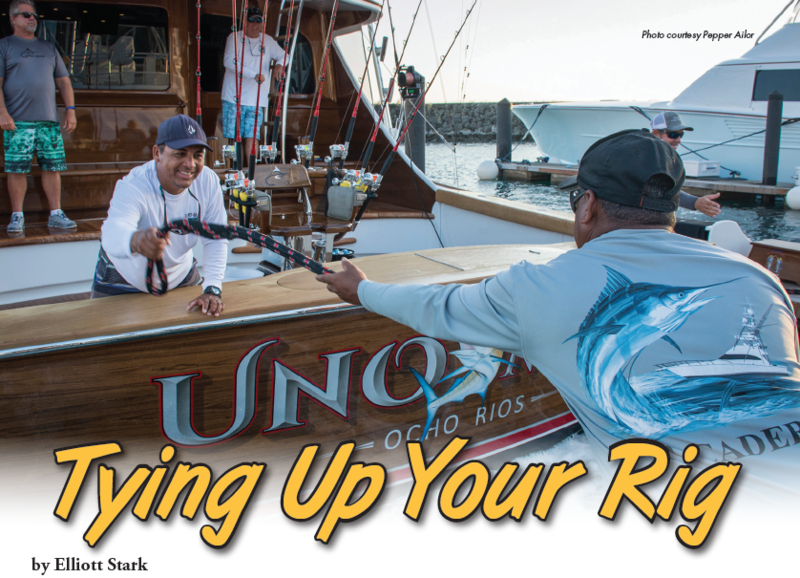 Stories about having multiple blue marlin, multiple white marlin and a sail or two in the spread at the same time. Stories about weeks filled with multiple double slams. 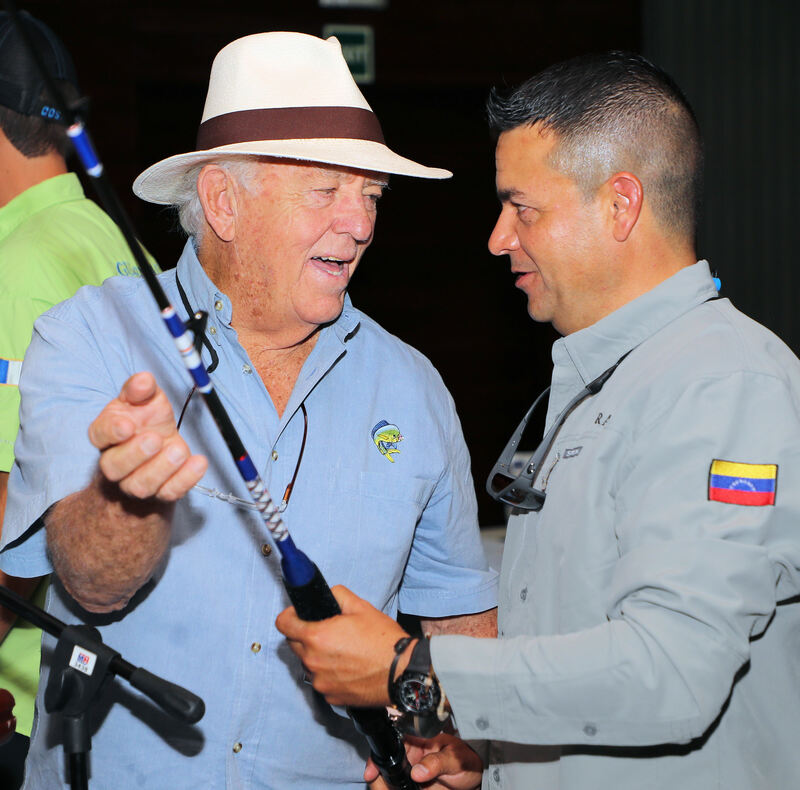 After talking about the fishing, they then transition to “The people are…” The next few minutes describe the hospitality and friendliness of the Venezuelan people. Most also provide recollections of some of the amazing fishing talent that gathered to fish the La Guaira Bank. The captains who fished there were too many and too influential to mention here. Next, inevitably comes the expression of regret. “What a shame what has happened there…” After the almost mournful statement of sadness, whoever is doing the talking will usually recount the lead up of events that resulted in their departure. The story usually involves describing a fair bit of back and forth – “The fishing was good and the experience was so great… but it just wasn’t safe any longer…” There is usually an underlying sadness in these recollections – it seems as none of those who spent a lot of time fishing in Venezuela ever actually wanted to leave. Most describe their eventual departure as being forced out by circumstance. After the stories and the expression of sadness at having to leave always comes the same thing – “I sure hope it gets better. I’d go back in a second.” Most anyone who has ever spent time in Venezuela, it seems, dreams of one day returning. 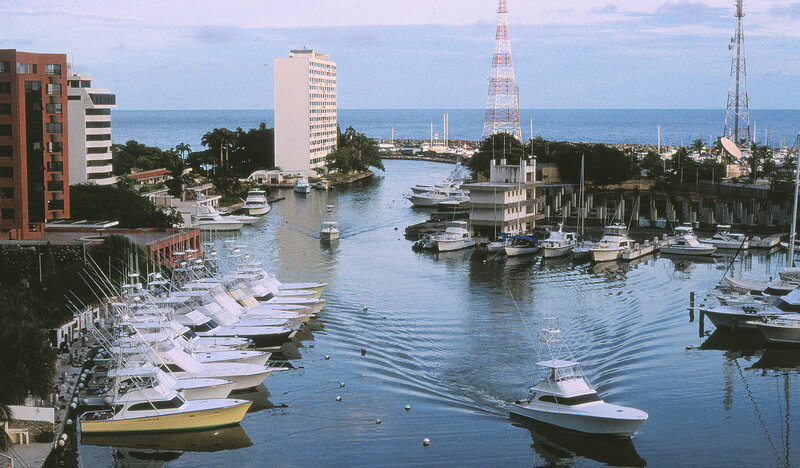 With the return of political and economic stability there will be a trail of sportfishers steaming south from all over the United States, the Caribbean and Central America. 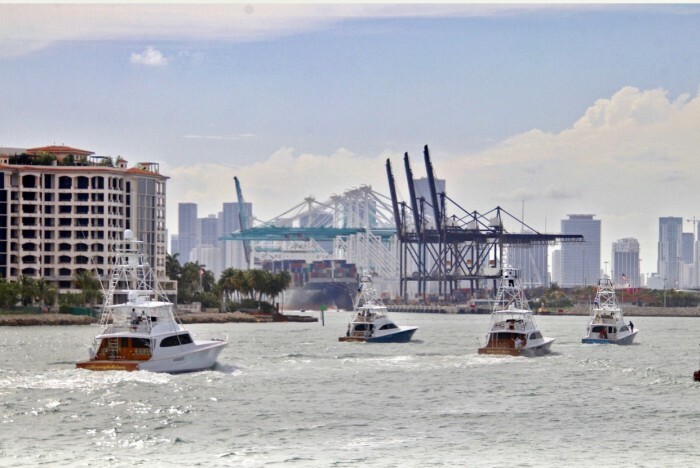 This stream of boat traffic will be matched in size and franticness of pace by only by the Spanish Armada (Columbus first visited Venezuela in 1498). Before going any further we must make one thing clear. 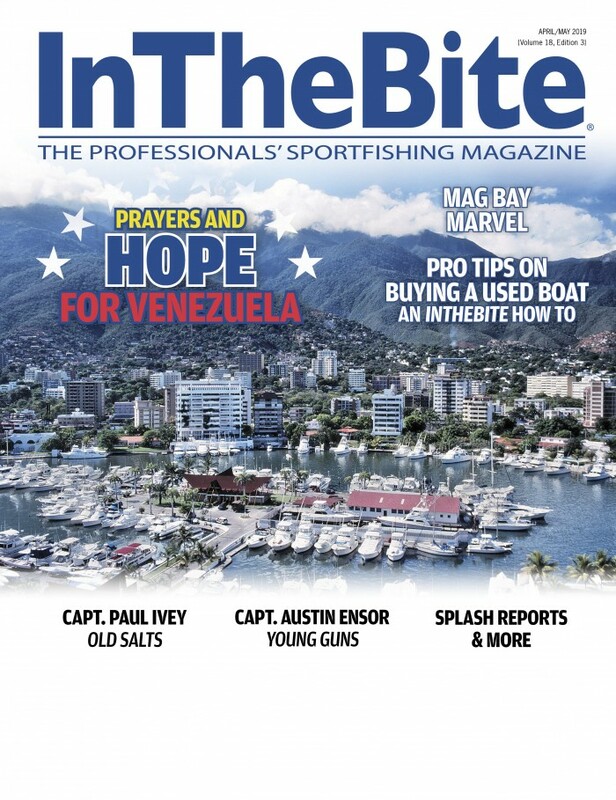 While most of those reading this may have only thought of Venezuela as it relates to fishing, everything else pales in comparison to what is happening to the people of the country. 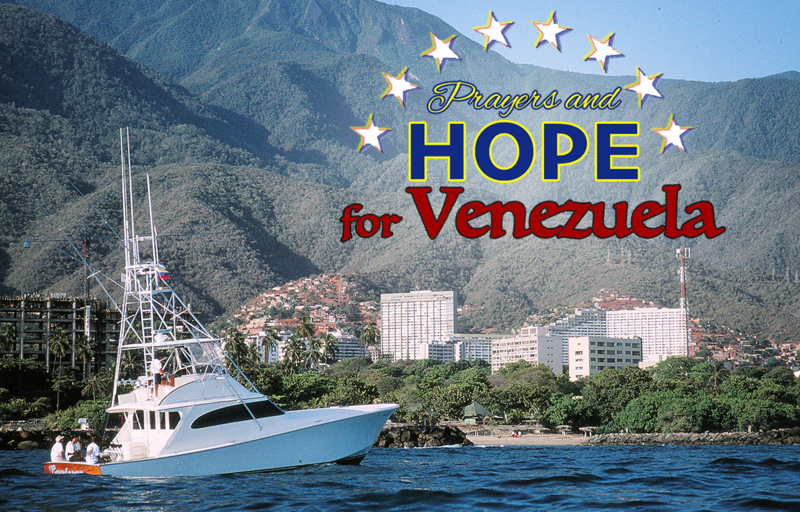 Venezuela is in the midst of a crushing economic depression and a humanitarian crisis of historic proportions. There are shortages of food, medicines and other basic necessities. Crime rates have sky rocketed, the country’s public health care system has collapsed. There are reports of mass hunger. By some estimates, 80% of Venezuelan households lack access to sufficient food. Economically, the country is gripped by one of the worst economic depressions in the history of Western civilization. The country is experiencing hyper inflation of its currency of disastrous proportions. The International Monetary Fund estimates that inflation will reach 10,000,000 percent in 2019. Yes, that’s 10 million percent. (Inflation is an economic term that describes the increase in prices for goods and services and a decrease in the purchasing power of a currency. To put this into perspective, at 10,000,000 percent inflation it would take $10 million dollars in cash to buy something that costs one dollar.) The result of such hyper inflation makes money near worthless. It is also causing a shortage of cash (because people need to carry a backpack full of cash, and wait for hours in line, to buy a loaf of bread and some eggs). The situation is so bad that is has caused a mass exodus from the country. The United Nations Refugee Agency estimates that some 3.4 million people have emigrated from Venezuela since 2014. This is the highest rate of fleeing from a country in modern history – higher even than from people leaving Syria. President Hugo Chavez was elected in 1998. Upon his death in 2013, his hand chosen successor, Nicolas Maduro, took power. Chavez nationalized the oil and gas industry in Venezuela, forcing out private industry. Populist social programs designed to redistribute wealth and corrupt moves to pay for military support lay at the base of the regime’s popularity. Between these programs, state sponsored television and intolerance (jailing and worse) of political dissent, Chavez’ regime was able to maintain control. With the continued tanking of the Venezuelan economy – now recognized as the world’s worst performing economy, and the shortages of food, medicine, and other necessities, support for Maduro has waned. A challenger – Juan Guiado (a 35-year-old leader of the National Assembly from La Guaira) – has named himself interim president. The Venezuelan Constitution states that the President of the National Assembly has the authority to take power in the absence of a legitimate president. Guaido and his supporters claim that when Maduro changed the elections and the rules last year – invalidating his claim to victory – this mandate was due in 2019. Guaido has consolidated support from the many factions that oppose Chavez/ Maduro’s regime within Venezuela and has been recognized as the legitimate leader of Venezuela by 65 countries – including the US, the European Union and much of Latin America. While the outcome of all of this is far from certain, it could well be a watershed moment in the political history of the country. Guaido has also provided something that has been in short supply in Venezuela for a long time. A vehicle for hope. Venezuela was once, not too long ago, the richest economy in Latin America. The country is blessed by an incredible base of natural resources – including the world’s largest oil reserve. It was this bounty that was central to the stories of boats buying fuel for three cents per liter in Venezuela. Oil – its price fluctuation and misguided economic policies surrounding it – is also at the heart of the Venezuelan economic meltdown. Hugo Chavez was elected president of Venezuela in 1998. Chavez’ “Bolivarian Revolution” was marked by increasingly populist foreign and economic policies. Much of his emphasis was on distribution of wealth downward – something that resulted in mass popularity. In 2001, Chavez passed laws designed to redistribute land and wealth. In 2005, large ranches and estates were taken by the government. In 2006, Venezuela forcibly nationalized oil and gas, banking and most large industry. With the government owning most large industry, the country lost a majority of its private employment options. 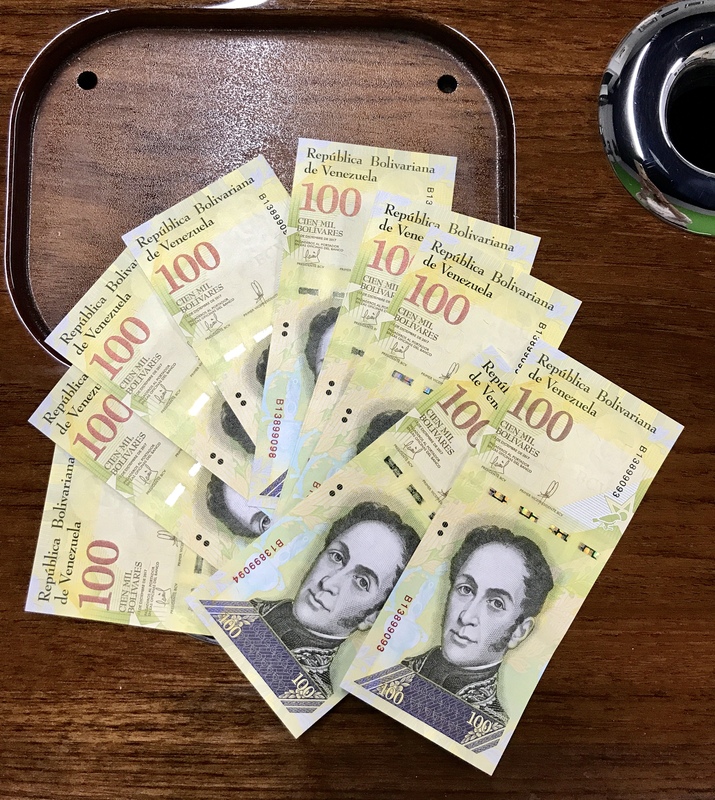 Hyper inflation and the devaluing of Venezuelan currency have led the government to print new money–lots of it, in ever increasing denominations. These are 100,000 Bolivar notes. At the time of Chavez’ election in 1998, the price of oil was $7 to $9 per barrel. By 2004, prices soared to upwards of $100 per barrel. With oil producing more and more money, the government of Venezuela (which owned the economy) became less diversified and more and more dependent on the high price of oil for economic health. The country bet its entire stake on oil – nationalization of (government-owned) industry killed manufacturing and productivity fell sharply. Venezuela exported oil and imported nearly everything else – becoming virtually entirely dependent on high oil prices for economic health. By 2012, oil accounted for 95% of all of Venezuelan exports. Despite the amount of money pouring into the country from high oil prices, the Venezuelan government borrowed heavily from 2004 to 2014. The public debt increased six-fold during this period. In spite of all of the oil money and the funds borrowed, the government did not create a sovereign capital fund or other savings mechanism to hedge against a fall in oil prices. In 2014, oil prices fell. Because of the country’s high rate of borrowing (and because much of its collateral for loans is tied to the price of oil), capital markets for Venezuela tightened and the country no longer had access to loans. Debt sets in shortly thereafter and cash was soon in short supply. Because Venezuela relied on imports of most everything except for oil, it needed to import food, medicine and other necessities. Without access to loans, the country did not have the cash to purchase these things. With fewer imports coming in, prices on basic goods began to rise. To combat rising costs, the government established price controls (mandating the price of what goods could be sold for). This cycle led to inflation, the devaluing of the Venezuelan Bolivar (the nation’s currency), and longer and longer lines for increasingly scare necessities. The recession that began in Venezuela in 2013 continues unabated – it is recognized as the largest recession in the history of the western world. Hugo Chavez died of cancer in 2013. Nicolas Maduro, Chavez’ vice president, was his hand-selected successor. He inherited a corrupt government, a pile of failed economic policies and a situation that was spiraling out of control on many levels. Maduro’s presidency is largely an extension of the Chavez regime. As economic and social problems continued to pile up, hundreds of thousands of Venezuelans took to the streets to protest against Maduro in 2016. In the lead up to the 2018 election, Maduro jailed leaders the National Assembly (Venezuela’s legislative body) and appointed a new governmental body to administer the election. While Maduro claimed victory, widespread claims of vote rigging and voter coercion opened the door for Juan Guaido – the leader of the National Assembly – to question the validity of the election results and proclaim himself interim president until a new, fair election can be held (something which the Venezuelan constitution grants him authority to do). Guaido, who favors a market economy, was immediately recognized by some 65 countries around the world as the acting leader of Venezuela. The United States and others have made it imminently clear that Guaido should face no harm from the Maduro regime. While the outcome of all of this is far from certain, Guaido provides hope for a people and a nation who have long suffered. While the economic and social problems and the political turmoil of Venezuela will not be something that can be overcome tomorrow – how Guaido’s challenge to Maduro’s regime will play out is far from certain – there is for the first time in a long time a tangible vehicle of hope. The eyes of the world are watching. Many displaced Venezuelans around the world are watching. 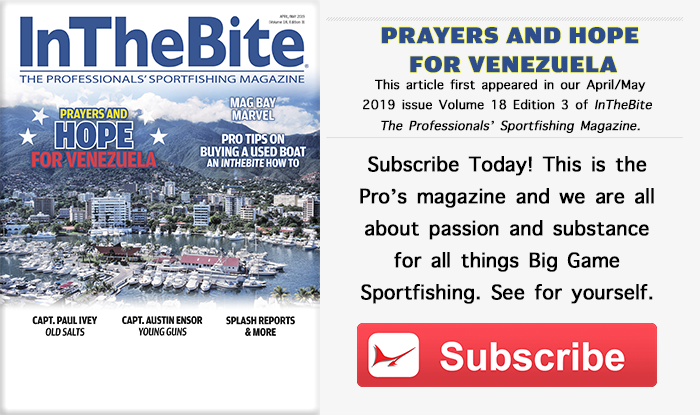 And the sportfishing world is watching too… In addition to the prayers coming from around the world, there is hope for Venezuela. 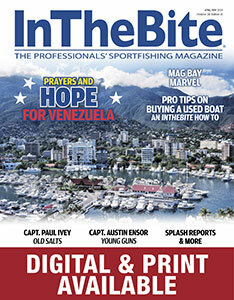 Rafa Martinez Tovar and his family have deep sportfishing roots in Venezuela. He shares his experience, perspective and optimism graciously. 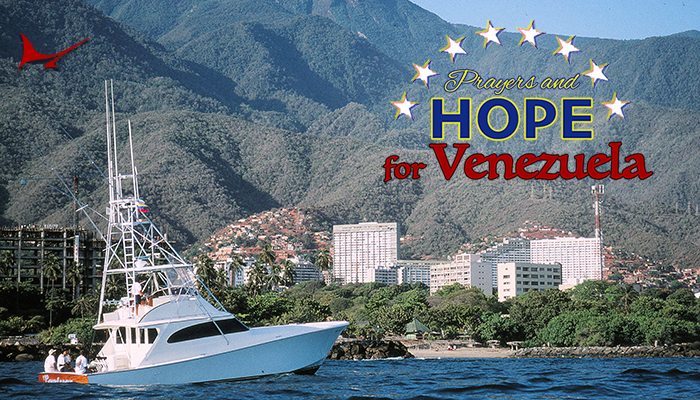 Jose de Veer is another of Venezuela’s displaced sportfishing community. 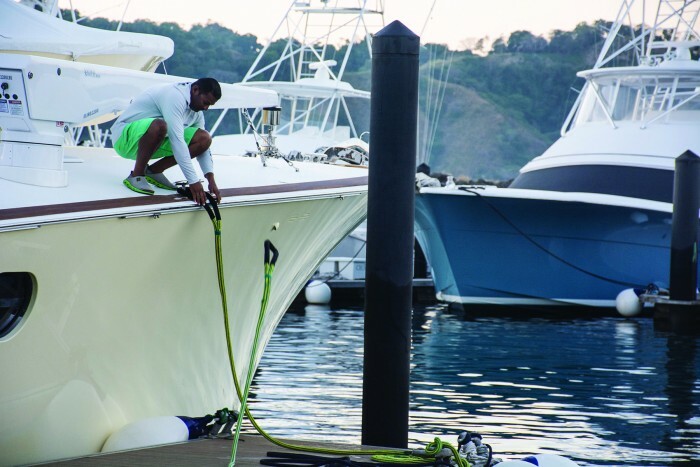 From Puerto La Cruz in eastern Venezuela, de Veer now works as first mate on the 65-foot American Custom Black Gold that fishes out of the Dominican Republic. “All of the problems in Venezuela really effect everyone. I am almost five years living outside of Venezuela – I moved because of all of the problems,” de Veer says. Native of Puerto La Cruz, Jose de Veer’s perspective on Venezuela’s current state and future trajectory is personal. Click to Subscribe – Available in Both Print and Digital. 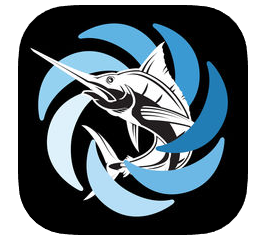 The 4th annual White Marlin Roundup, was again based out of the beautiful Abaco Beach Resort & Boat Harbour Marina, was held April 10-13, 2019. 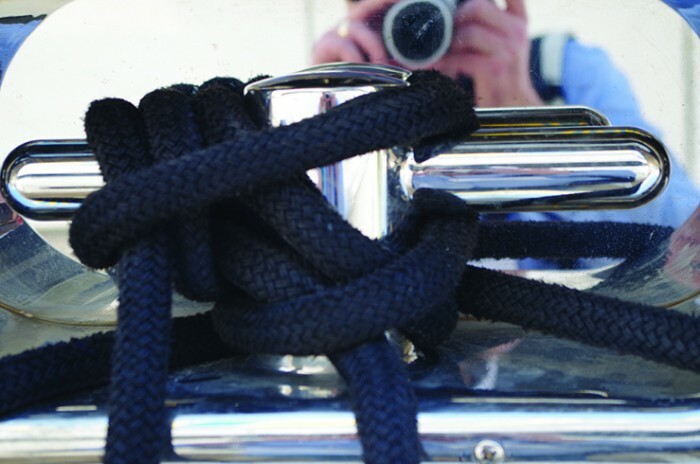 There were 25 registered boats and the weather forecast was perfect, light winds and calm seas. The first day of fishing was beautiful and the 77’ Bayliss, Wave Paver was off to a great start as they released 6 white marlin, for 1950 points. Plane Simple a 70’ Spencer finished the day in second place with 3 whites for 975 points. In third, was the Lo Que Sea with a 2 whites and 1 blue marlin for 800 points. The real catch of the day was caught on The Chaser as they boated a white marlin to weigh in! As the crowd gathered around the weigh station, The Chaser backed in with an extra large white marlin in the cockpit. 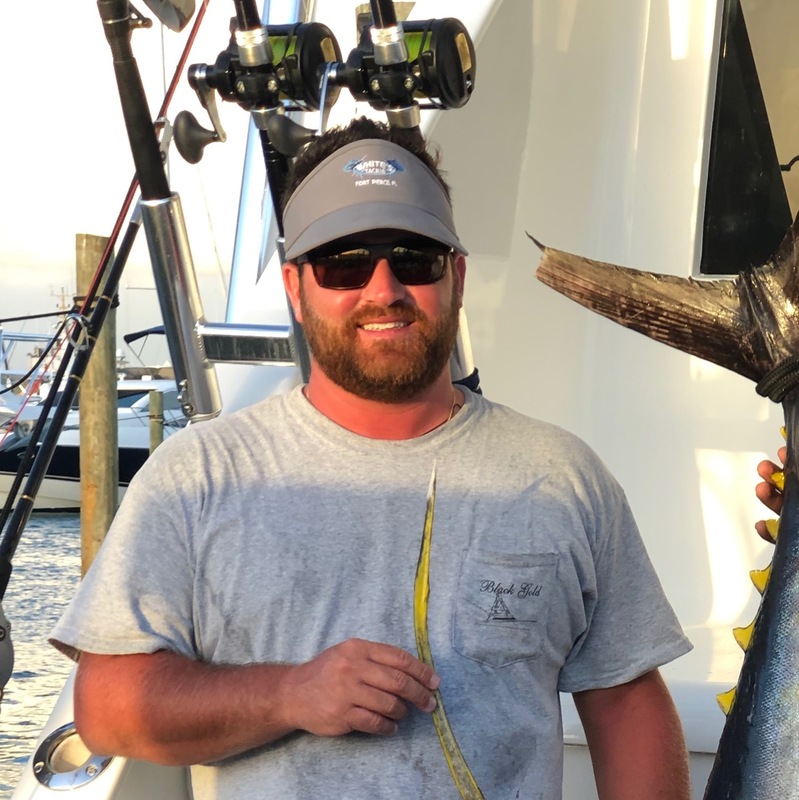 Angler Nick Locuv stood close by as he marlin was hoisted and the scales showed “129” pounds For the day there was 18 whites, 4 blue marlin and 8 sailfish released, along with the one big marlin that was weighed! 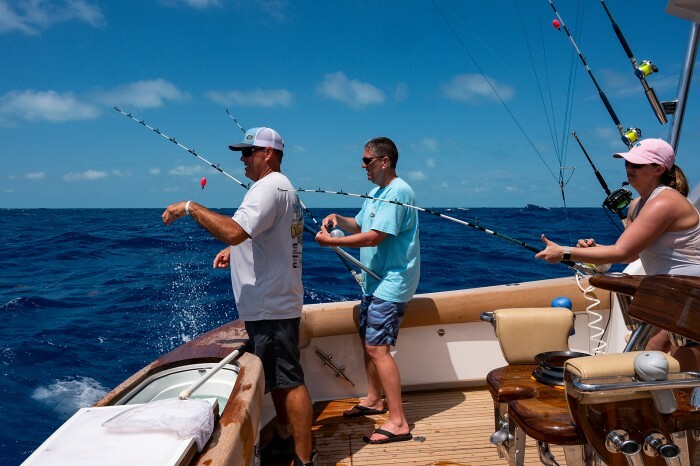 On day two with the same calm conditions, Wave Paver maintained their lead on the fleet by releasing 5 white marlin increasing their lead on the fleet. The Lo Que Sea added to their total by catching 4 whites to get them into second place overall and the Plane Simple dropped down to 3rd place. There was a total of 22 whites, 2 sailfish and 2 blue marlin caught on day two. On day three, the final day of fishing, the Plane Simple got red hot and put the pressure on the Wave Paver by catching 4 white before noon. Wave Paver fought back by catching 4 that afternoon while Plane Simple caught 3 more that afternoon too. The 7 white marlin that the Plane Simple caught, put them well into second place, and Lo Que Sea ended up in third place. 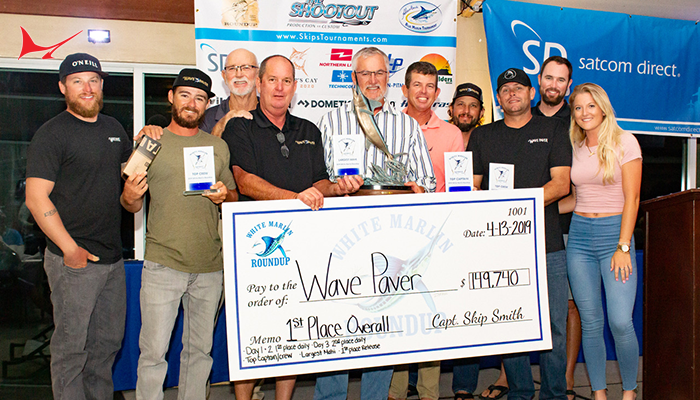 At lines out it was the Wave Paver winning this event for the second time in three years. With 33 whites, 5 sailfish and 3 blue marlin caught on day three, it brought the three day total to 71 whites, 15 sailfish and 9 blue marlin! 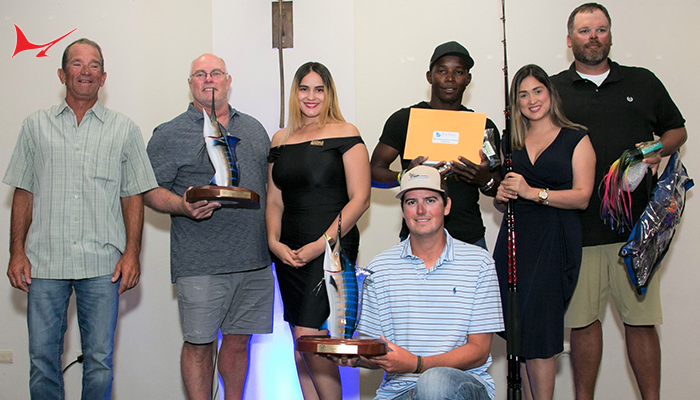 All competitors gathered to honor the winners during the awards presentation at the beautiful Abaco Beach Resort & Boat Harbour Marina! The Ken Ullberg trophy for the Top Boat award went to Wave Paver and her owner Jr Davis! 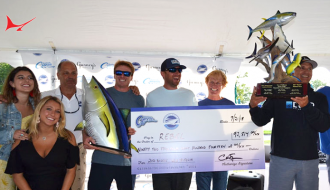 They also claimed many awards, including two top dailies, , the jackpot for the overall winner, Top Captain & Crew and even the largest Mahi of 39.5 pounds as they took home a big check of $149,740. The Top Captain & Crew went to Captain Russell Sinclair, and crew members Cody, Garrett, Ryan and Doug. Plane Simple took second place, earning them a prize of $55,080. Third place went to the Lo Que Sea awarding them $20,880. 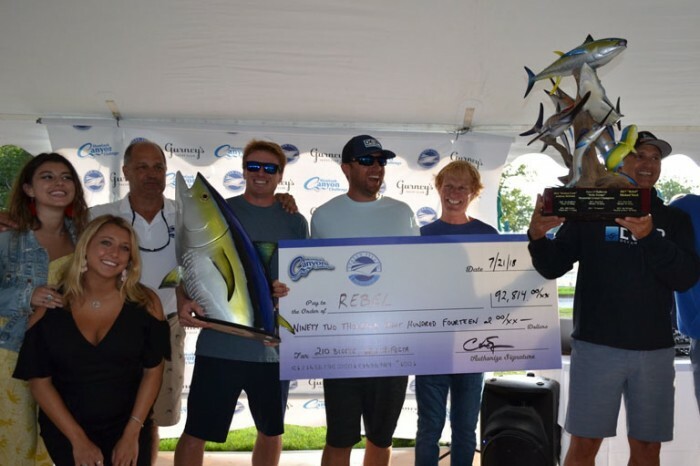 Angler Nick Locuv and The Chaser took home a check for $40,400 for the largest white marlin. The top angler was Scott Glasscock on the Wave Paver. Scott caught 9 white marlin. The Top Lady Angler was Laura Russell on the Hit n Run! The largest tuna and wahoo was caught by Steven Staclings on the Jichi and they took home a check for $19,500. 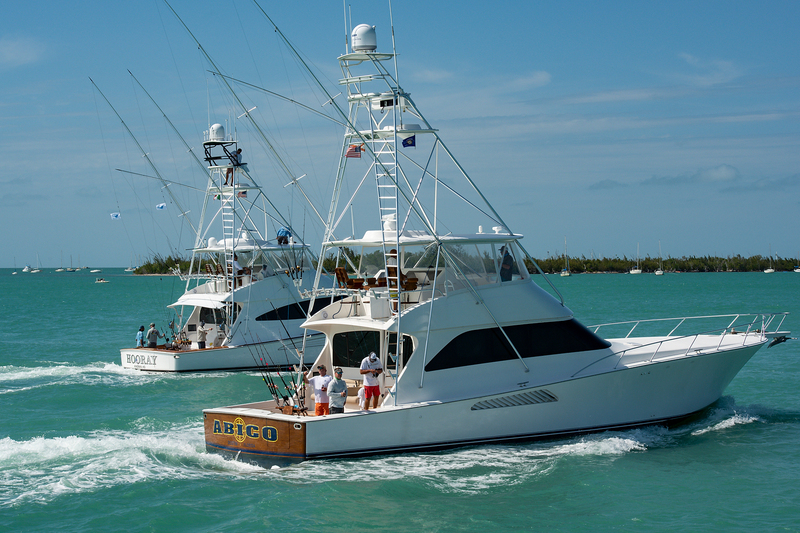 We look forward to seeing everyone again at next year’s tournament, to be held again at the Abaco Beach Resort & Boat Harbour Marina. The dates will be April 15-18, 2020. See you all there! Capt. 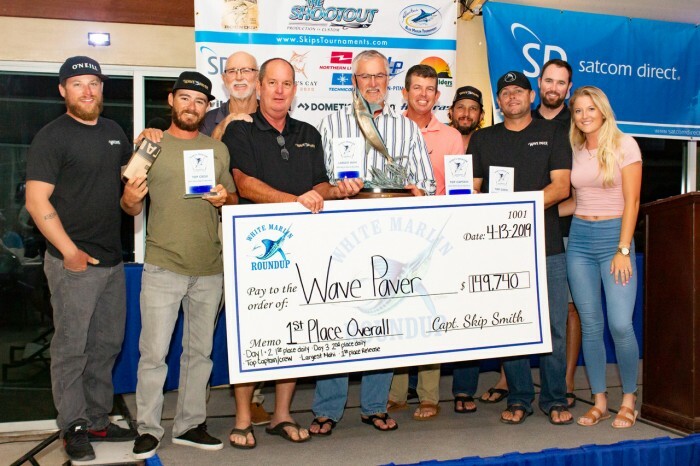 Ben Sharpe and Gypsea capture the 6th Annual Viking Key West Challenge. 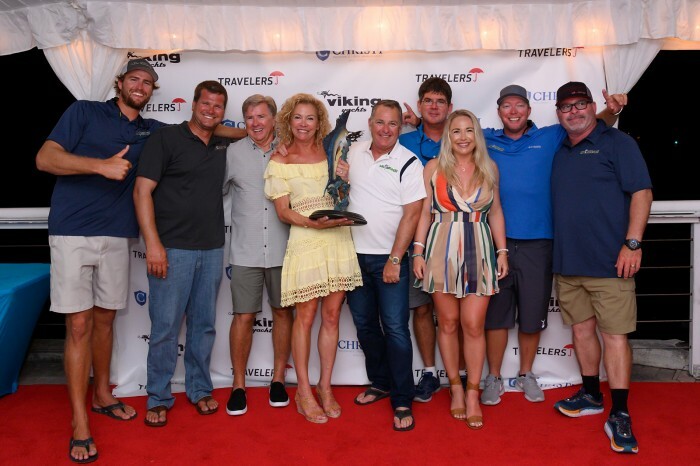 (Key West, Florida, February 13, 2019)—Forty Vikings from 42 to 82 feet and a record 475 participants descended upon the southernmost city in the United States last week for the 6th Annual Viking Key West Challenge. Ben Sharpe was the winning captain for the fourth time, leading the Viking 56 Gypsea to victory in a closely contested – but fun-focused – competition. 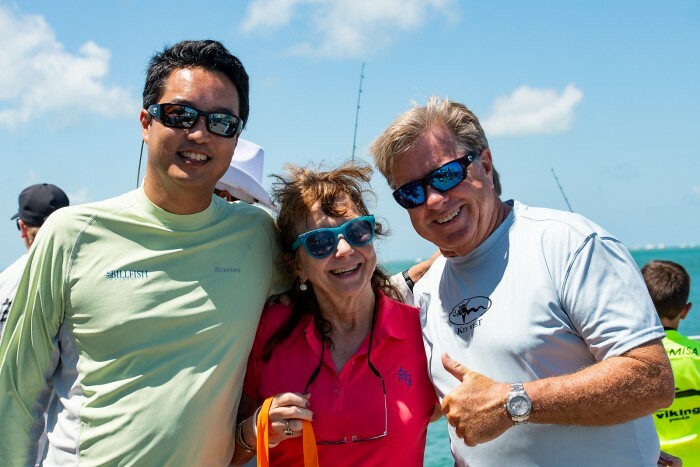 After a captain’s meeting at Dante’s Tiki Bar that featured delicious food, fun prizes and lots of camaraderie, the teams headed off the following morning for a glorious day on the water. 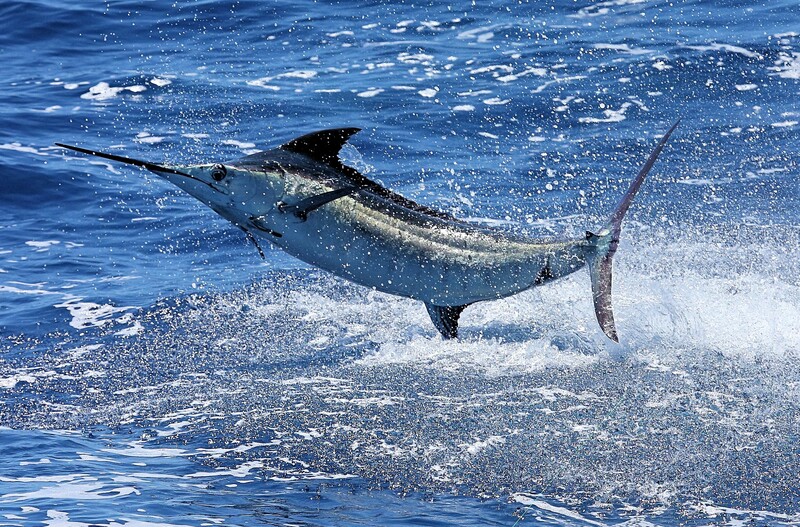 A total of 45 sailfish were released and one swordfish was caught on day one. Gypsea topped the Day One leaderboard with five sails released (500 points), followed by the Viking 80 Mr. Grinch with four sails (400 points). The Viking 62 Tami Ann also released four sails and took third on time. 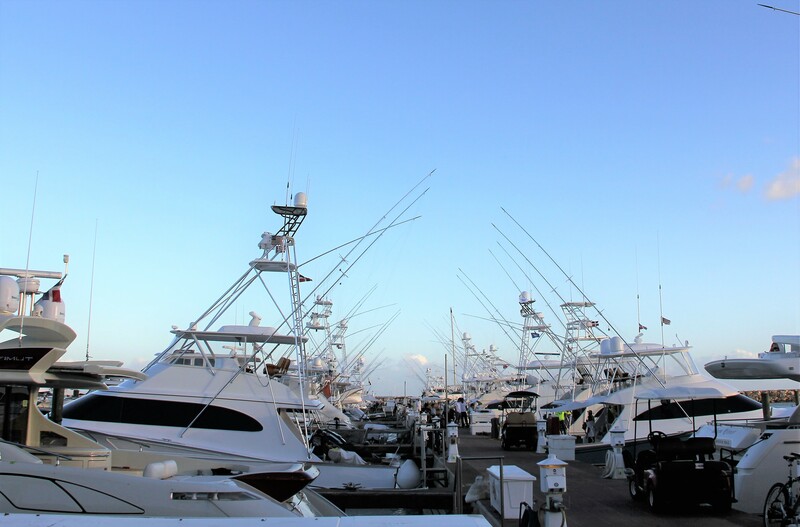 The teams steamed back to the scales at Conch Harbor Marina to weigh their catches and pose for pictures. The Viking 44 Miss Peggy Sue II and captain/owner David Heeter stole the show with a 108-pound swordfish, which was donated for lunch the next day! 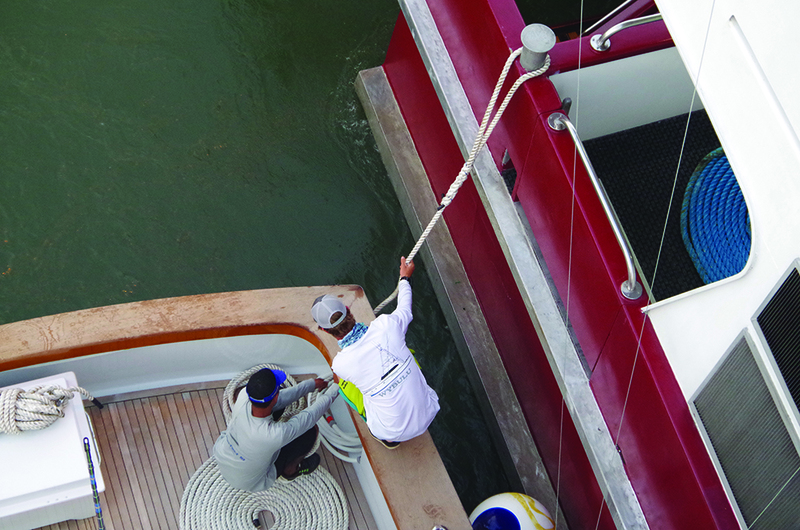 The fishing turned white hot on the final day, with 87 sails released. The Viking 48 Fish Wish released eight sails and caught an 8.3-pound dolphin for 808.3 points. Last year’s champ, the Viking 55 Ragin Cajun, was right on their heels with seven sails and a 21.4-pound tuna (721.4 points). Gypsea had a solid day two as well, with five sails. But it was their dolphin that turned out to be the difference-maker. 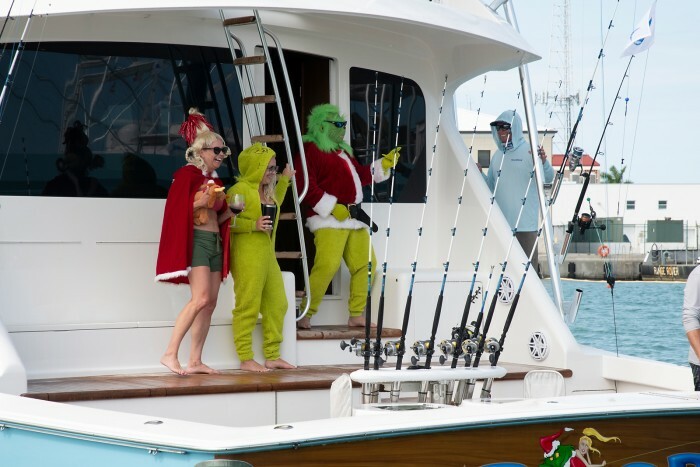 With an overall point total of 1,004.6, Gypsea edged second-place finisher Mr. Grinch (1,000 overall points) to take the 2019 Viking Key West Challenge crown. Ragin Cajun landed third place overall with 933.8 points. 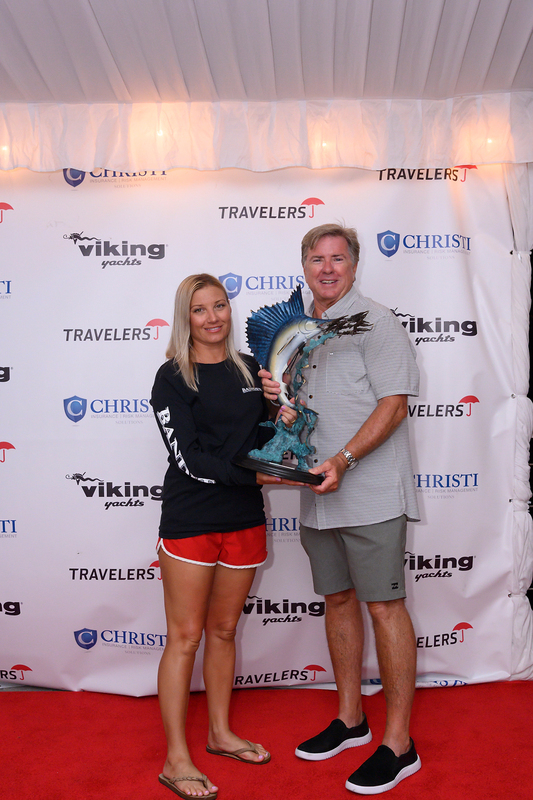 Natalie Rarick on the Viking 82 Bandit took both Top Angler and Top Female Angler awards with eight sailfish and a total of 892.2 points. All results are listed below. Next year, the 7th Annual Key West Challenge will be held April 15-18, 2020. Book your slip today! 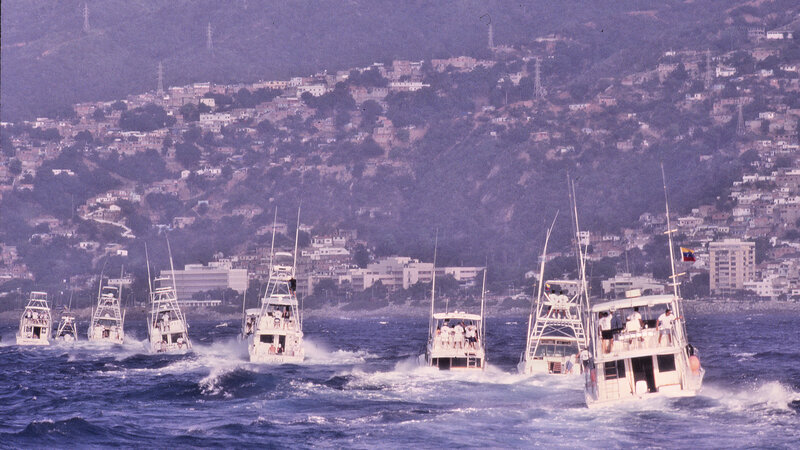 In a tournament marked by rough seas and windy squalls Captain Brent Gaskill from North Carolina guided his team aboard the 64’ custom Jarret Bay to a comfortable victory during the three days of fishing in the prestigious Casa de Campo International Blue Marlin Classic 2019, first leg of the Dominican Billfish Triple-Header Series. But, “it was not as easy a victory as some might think” said a smiling Captain Gaskill. “We had to work very hard and travel far for the win” he added referring to the standings after day one. 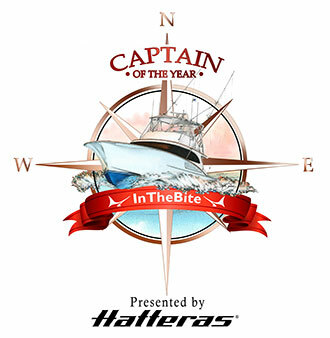 They stood in third place at the end of the day edged out based on time of the last release by the winners of the daily, the team aboard another Jarret Bay, Mama Who from Mississippi, and the Brazil-Venezuela team aboard the 72’ Merritt, Business Stinks. 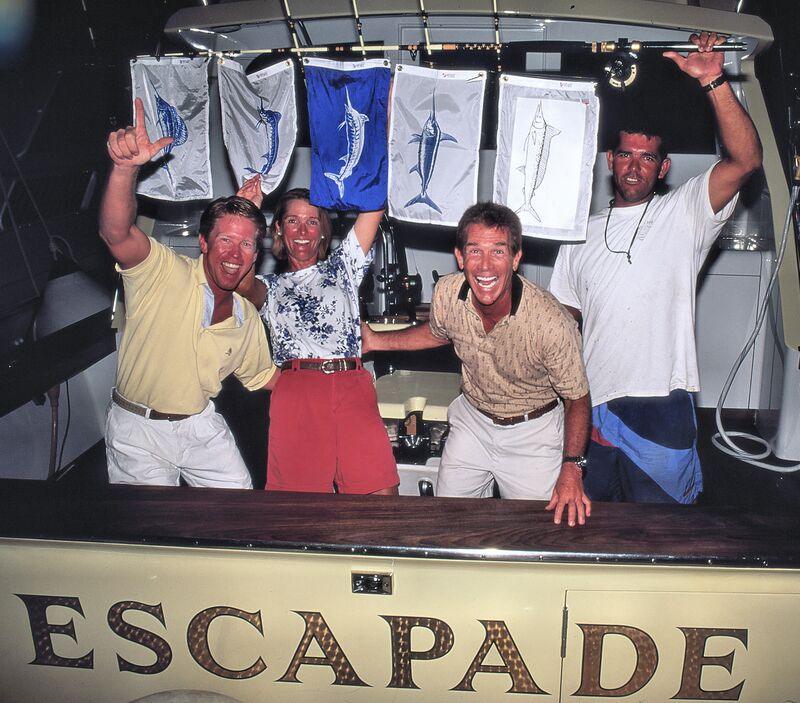 All three teams had released two blue marlin on that first day. 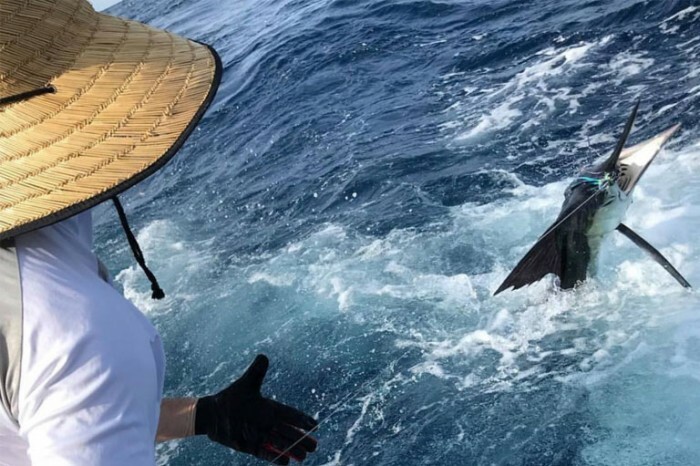 However, the leader situation was quickly resolved on day two when Builder’s Choice released two blue marlin within the first hour after lines in and added a third in the afternoon that day winning the daily while Mama Who and Business Stinks had no releases for the day. 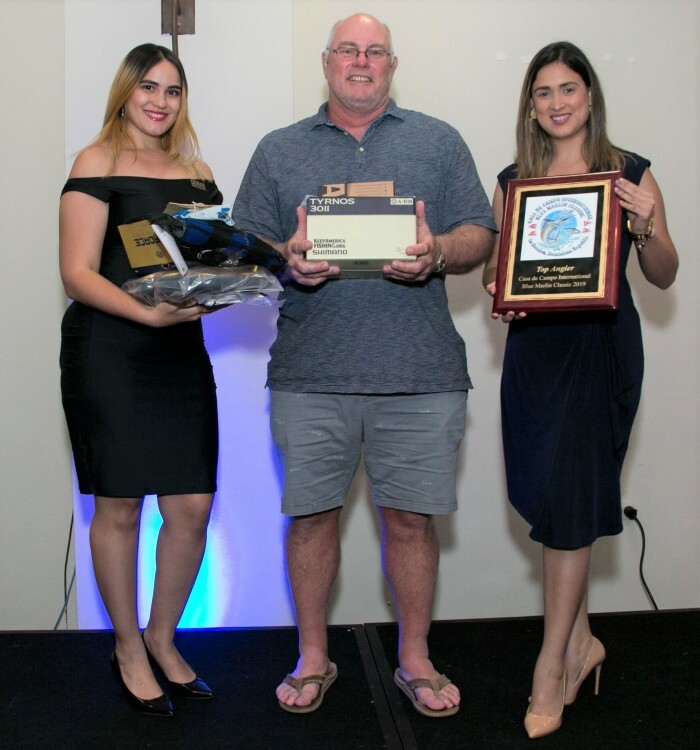 “After day two we never looked back” said a proud Harris Huddle, Builder’s Choice owner and winner of the Top Individual Angler Trophy who incidentally was followed by his team mate, Dominican Luis Selen, who earned the Second Place Individual Angler Trophy. 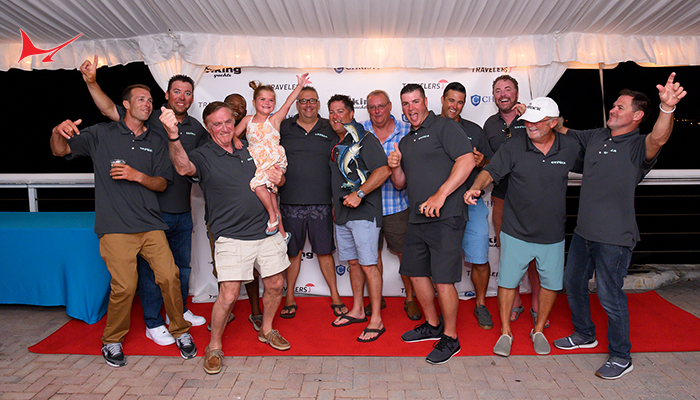 When the dust settled at lines out on the third and final day of competition the Team/Boat standings stood with Builder’s Choice in First Place with a three day total of seven. 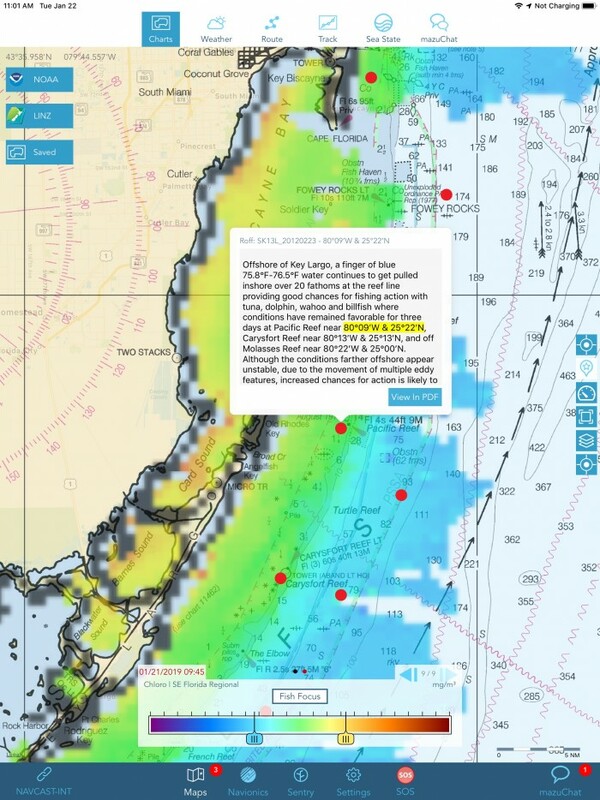 blue marlin releases, Mama Who in Second Place with a total of four blue marlin releases and Business Stinks in Third Place with two blue marlin releases. Coincidentally the same three teams/boats had finished first, second and third the previous year but in a different order with Mama Who as the winners. In the individual angler standings as already mentioned Top Angler was Harris Huddle followed by Luis Selen in Second Place both aboard Builder’s Choice and in Third Place was Mama Who’s Trey McMillan. Top Lady Angler for the second year in a row was Mama Who’s Elaine ‘Lainey’ Jones. 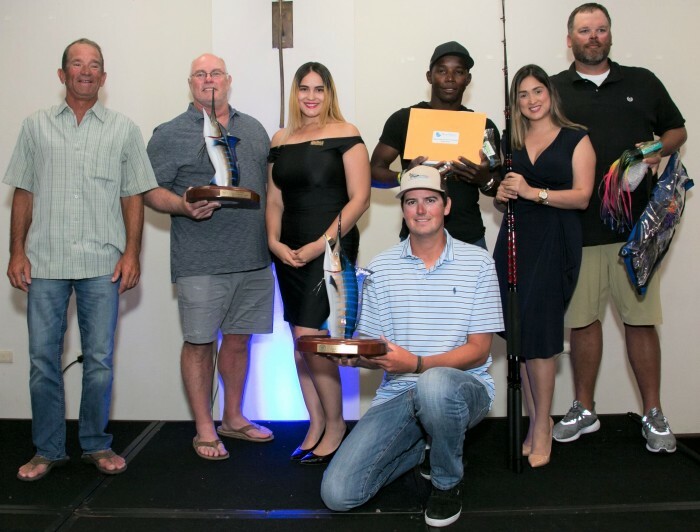 Teams and Individual anglers took home a small fortune in cash awards and sponsor luxury prizes. Top Angler Harris Huddle, Builder’s Choice. 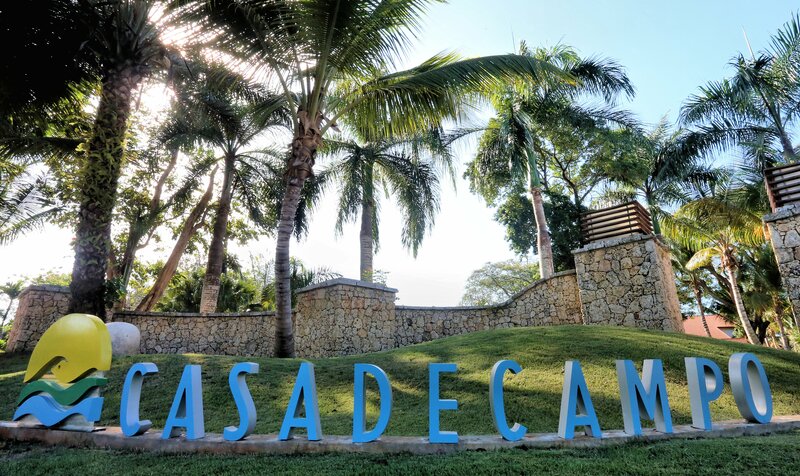 We gratefully thank our Title Sponsors Casa de Campo Resort & Villas as well as our very gracious hosts Marina Casa de Campo for their hospitality. 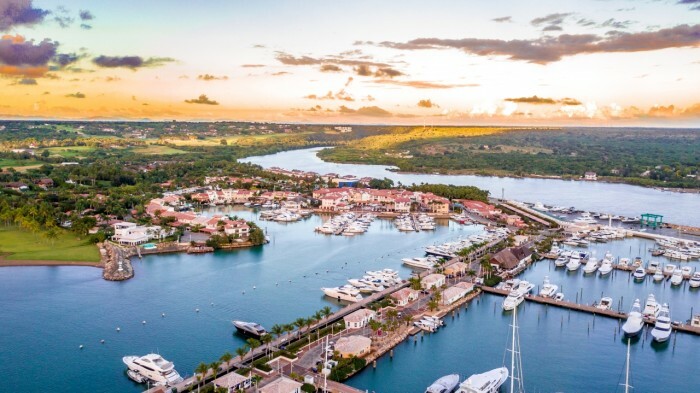 Save the date for the 2020 7th Annual Casa de Campo Blue Marlin Classic when the tournament will take place will take place April 1st thru the 5th. Don’t miss it!